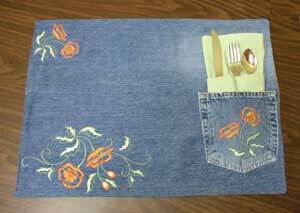 Make some denim place mats with a down home country appeal. This is an easy to make and fun to accessorize sewing project. Great for outdoor eating and for gifts too.